There’s been more and more debate on the pros and cons of music being free. The comments from a recent hypebot article and this recent post all are trying to make sense of free. Chris Anderson (the Long Tail guy) is even putting out a new book about the future of Free and Seth Godin recently challenged the idea of too much free. The main complaint I’ve seen so far is that a good quality recording still costs a good chunk of change. Giving away the music means not making your recording investment back. Who made the rule saying you have to make it back from selling the music itself? I know a band in my town who made a decent sounding album for about $4000. They made all that back on ticket sales from the CD release party. In today’s world, if you’re an independent artist and have people who put your music on the torrents, that’s a small sign of success. The fact that people care enough about your music to want to share it is huge. There’s soooooooooooooo much music out there that’s so easily accessible. Even in niche genres, there’s abundance. The net has made music from all over the world available with a few clicks. 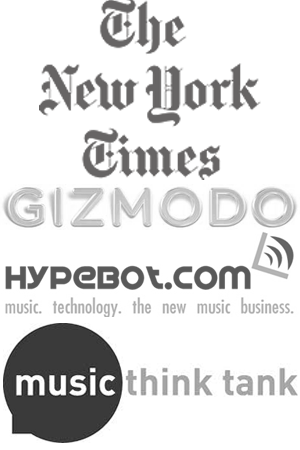 Free music is all about expanding your audience without a million dollar marketing budget. A peer-to-peer system that seemed like free (you pay $2-3/month) that would pay artists depending on popularity is an idea that might actually work, but it’s not here yet. In the mean time, it’s all about adaptation. 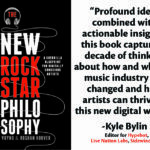 Reconsider putting out an album and instead put out 3ps on regular basis (download the New Rockstar Philosophy Book to find out more… it’s free). Start putting more attention on merch at your shows and even on your website. Don’t press thousands of CDs at once and instead create 50-100 burned discs inside creative hand-made packages for sale at shows only. Make new ones as needed. Give away your music for free in exhange for contact information. If you have a direct relationship, you can let them know about new music, new merch, new shows, etc…down the road. Cut costs where you can. If that means you have to move back into your parents in order to save enough to go on tour next fall, then so be it. Any creator of digital content today (filmmakers, authors, musicians, etc.. ) has to re-think how they approach things. The world changes, but there is opportunity in change. You just have to seek it out. I am interested in the flourishing of the former. Many seem worried about the latter. I am certainly concerned about the crazy lengths we seem to be going to to try and protect the market for copies. It would be good to find ways for those that want to earn a decent living from their art to be able to do so (given they have the needed talent and abilities) and so I have an interest in that. The music doesn’t need to be free of charge. 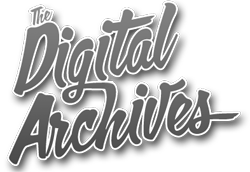 It’s the digital copies that tend to be free because everyone can make them very easily, and indeed should be at liberty to make and share to their heart’s content. The market for copies has ended. The market for music resumes. Simply because people have grown up with the idea that music=copies this doesn’t actually make it so. A copy is a piece of plastic or a series of electronic charges, it’s very cheap to produce. The music isn’t. The music is what’s valuable, so for heaven’s sake sell the music! and I want to assure you that even if it’s free, if the music is not constantly and “officially” advertised, very few poeple will download. I give some of my songs free in my blog, and I know what I am talking about, and my music is far from average. I hear you about the songwriters and the session players on albums. The thing is, nothing has changed on how they get compensated. It’s still running based on the way things used to be. It’s sad, but the behind the scenes song writers and session players need to adapt in order to stay relevant. Maybe that’s them starting their own acts, maybe it’s them becoming mainly live players for hire. There’s also no doubt you have to promote yourself and your music. People have to know you and your songs before they download. It’s gotten cheaper with the free tools available to everyone, but it’s got harder with the abundance of artists trying to get attention. Also, music doesn’t have to be strictly free. Some people will pay for it if they think it’s worth it.